Have the Perfect Date for your Special Occasion? Check our availability of your date using our online system. Luke is the best! 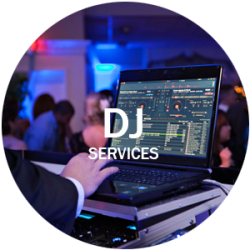 He provided DJ Services and uplighting for our wedding at Ocean Cliff. Both were amazing. 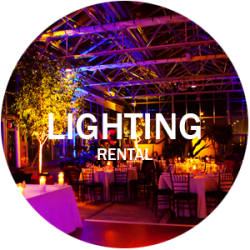 The uplighting really enhanced the beauty of our venue and he had everyone on the dance floor all night long (which was our #1 goal). Everyone had a blast! Luke and his team were amazing throughout the whole process. 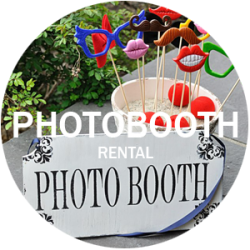 Between the planning, music selection and photo booth details not one thing was missed. My Husband and I chose Luke B. Renchan as our DJ for our wedding. He was the best decision for us. Our wedding was a blast. I knew he was going to blow us away but he went beyond. We had our first dance with dancing in the clouds and it was amazing. Luke made our day fantastic, special and meaningful from beginning to the end. Luke and staff were prompt, easy to work with and friendly. Luke made our night personal. He provided music, photobooth and beautiful spot lighting onto every table and our cake. I cannot say enough about the quality and workmanship of this company. 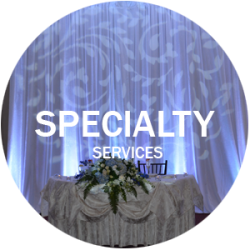 I would highly recommend them to any type of special event.